Throwing a birthday party for a girl can be a challenge especially for preteens. 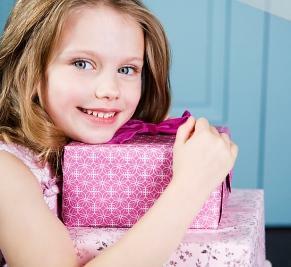 Here you will get best ideas for planning a birthday party for a girl. Basic arrangements are same like other birthday parties including selection of venue, menu, theme, games, invitation, music etc. All arrangements are made according to selected theme so the most important tasks for planning a birthday party is to select theme and games. So here we decided to give you unique information about birthday party themes for girls and games to have fun in girls’ birthday parties. Pajama Party: It is best idea to entertain birthday girl and all her friends. According to this theme, you will call them for a sleep over at your home in your girl’s room. Make sure to arrange mattresses so that girls can jump, play and enjoy. Pillow fighting is most fun making activity. Watching Movies: Make a collection of interesting movies or cartoons like fairy movie or a romantic movie if party is for teen girls. Arrange tasty food or snacks while watching movie to add to fun of movie. Costume Party: In this theme, you will have to ask all girls to come in same dress of same style or same color. Select food according to theme like mocktails, chocolates, chocolate pastries etc. Try to make the girls feel like princesses if you select this theme. Poolside Party: Arranging a poolside party will be best option in summer season. Arrange fantastic girly music to be played in background and ask girls to come in special costumes. Spa Sleepover: Young girls really like to be treated as adults especially in case of beauty treatments and makeup so arranging a spa sleepover for young girls will be a great idea to make them enjoy. Arrange some manicure and pedicure kits and let them have massages over night. Truth or Dare: A very interesting and well known game among students especially girls is truth or dare. To play this game, ask all girls to sit in a circle and ask truth questions from each other. To have real fun make a list of fun making questions before birthday. If any of girls doesn’t want to answer any question then she must do the dare. It’s really very a fun making game. Nail Polish Birthday Spin Game: Make a circle of all girls and place different colors of nail polish in middle of circle. Ask a girl to spin a nail polish. See the direction of cap of nail polish to whom it points, she must paint one of her finger nails and ask her to spin next color of nail polish and so on. You can ask girls to paint their toenails also if you want to make the game longer and have fun. Playing music in background is a good idea. Blink Make Over: It is really a fun making game. Ask one of girl to wear a blindfold and apply makeup on second girl. When they have done, second girl wears the blindfold and does same with the third girl and so on. When all have done, take pictures that are too funny and give prize to winner. Playing some music in background when this game is played will ne a good idea. Nail Polish Song: It is very exciting and fun making game for girls. Ask all guest girls to sit in a round and give a nail polish bottle to a girl. Play a nice song and pass nail polish bottle from one girl to other in circle. When song is stopped ask the girl to color one of her nails and start music again. Keep the same game go until one girl has all her fingernails painted. You may arrange prize for the winner or just have fun. Guess and Win Game: Take a see through jar and fill it with small candies, skittles, jellybeans, small toys etc. Make sure to count them all before putting in jar. Ask girls to guess how many candies and toys they think are in a jar. Write down guesses of all guests and give small prize to girl whose guess is right or near the right. All these ideas together will really make your birthday party a memorable one.